Dramatic illustrations and poetic prose highlight the beauty and power of the Alaskan landscape-seen through a boy's eyes. McGehee's lyrical and gripping creative historical nonfiction recounts the 1918-1919 winter spent on Alaska's Fox Island from the point of view of 9-year-old Rocky, son of the painter Rockwell Kent II. Vivid scratch board-style illustrations echo the rugged subject matter with whimsy. 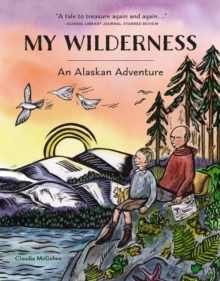 This engaging book shows Alaska from a young boy's appreciative and imaginative point of view.